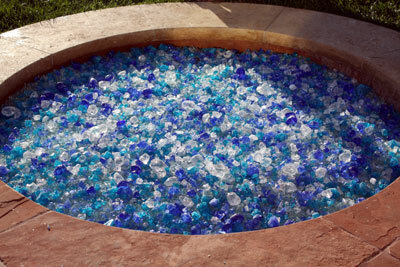 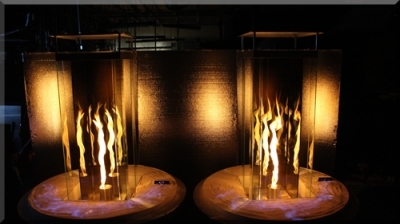 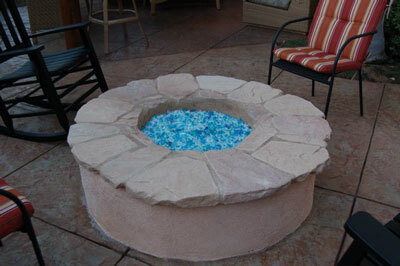 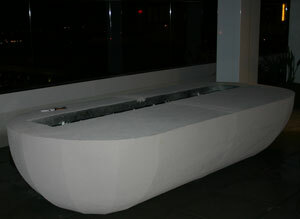 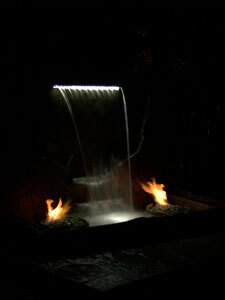 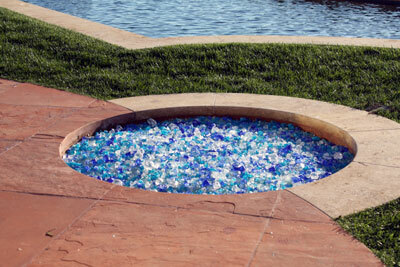 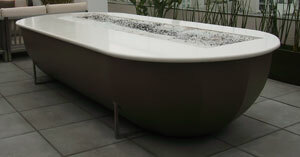 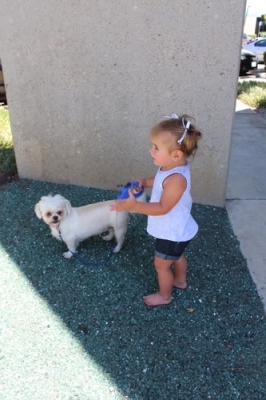 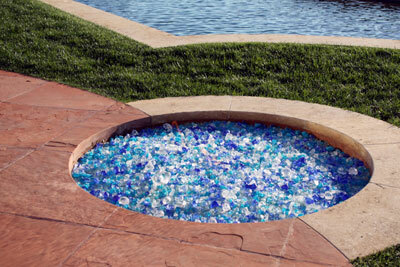 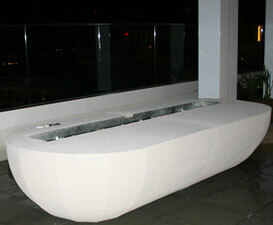 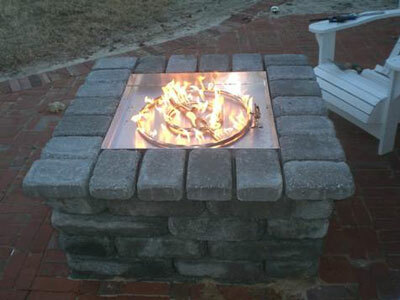 This page is for out door fire pits and fire pit glass .You will also find some very unique fire pits here in the near future. 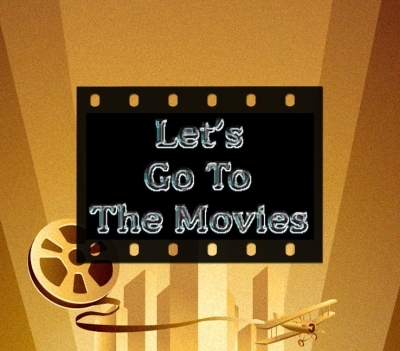 Starting with this one! 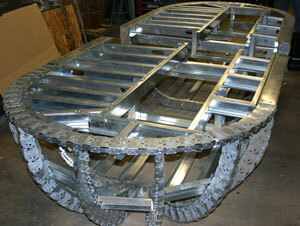 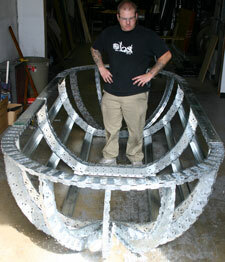 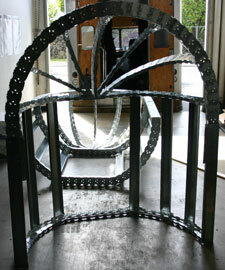 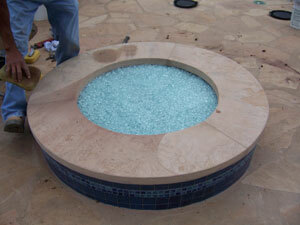 The details will follow in a few days about this custom fire pit. 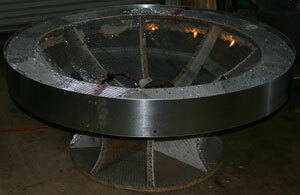 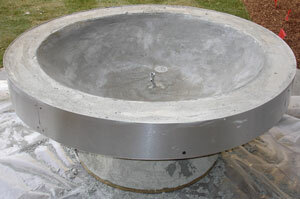 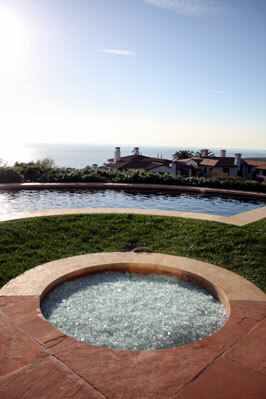 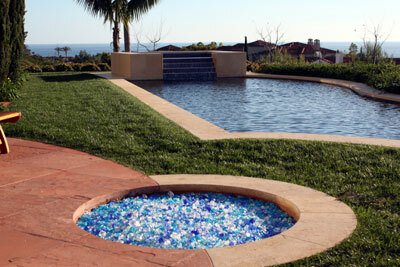 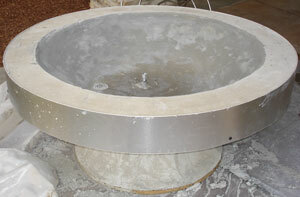 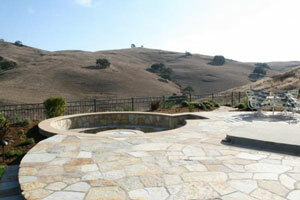 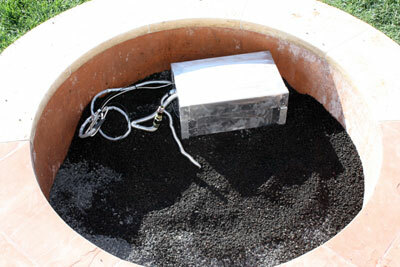 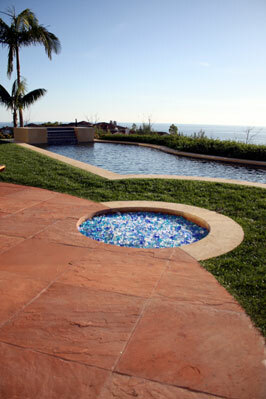 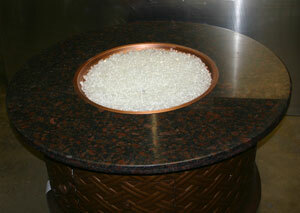 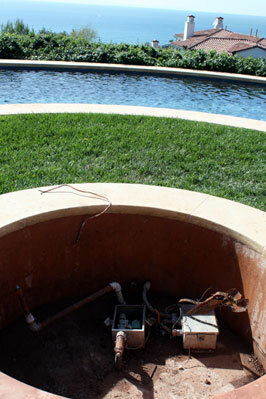 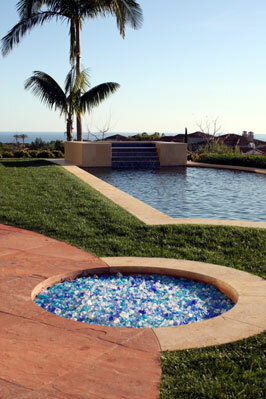 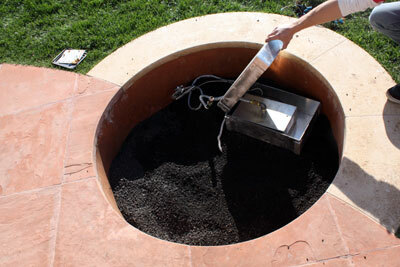 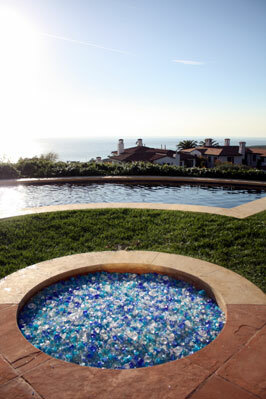 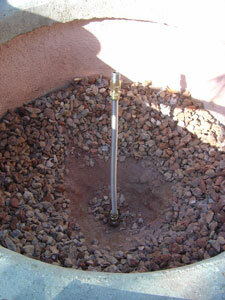 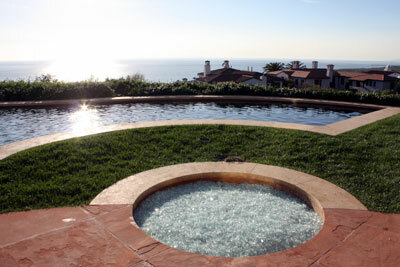 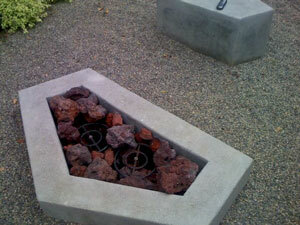 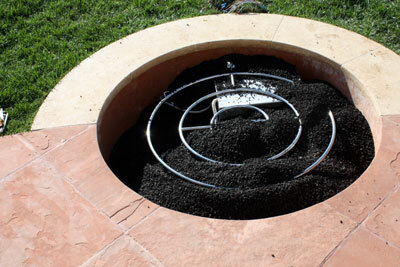 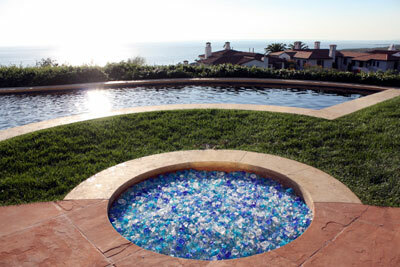 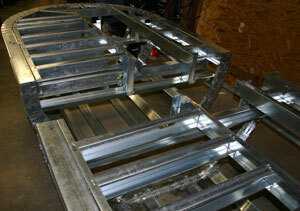 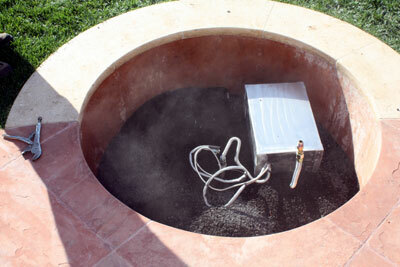 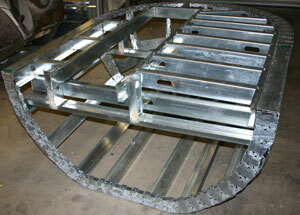 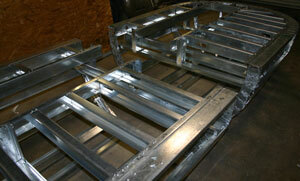 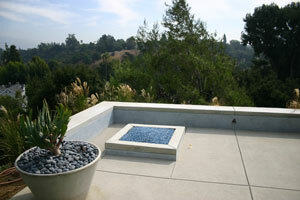 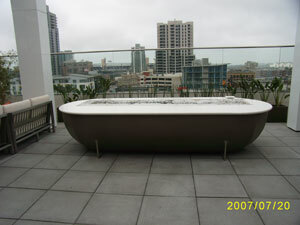 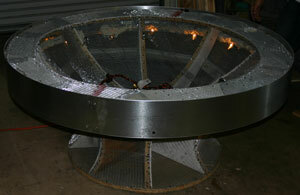 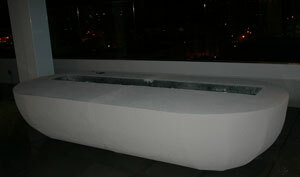 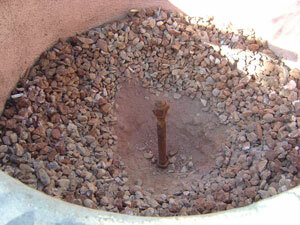 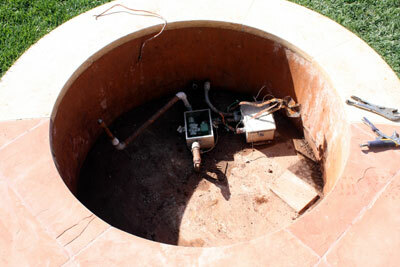 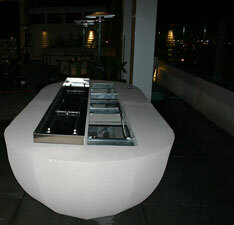 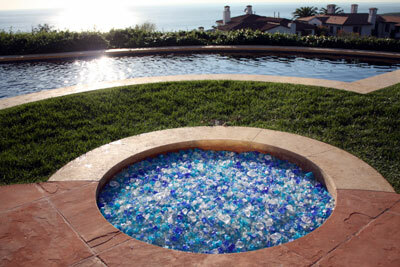 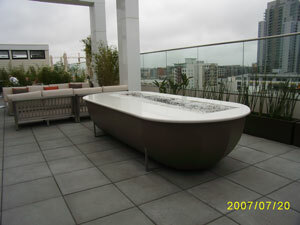 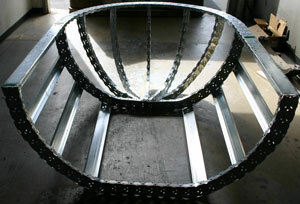 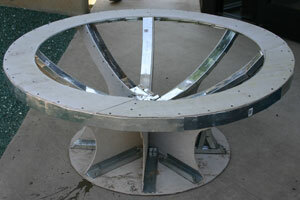 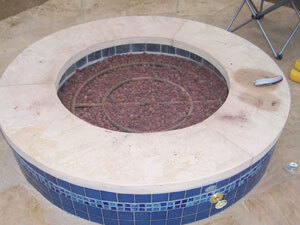 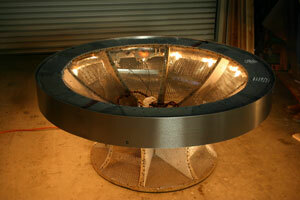 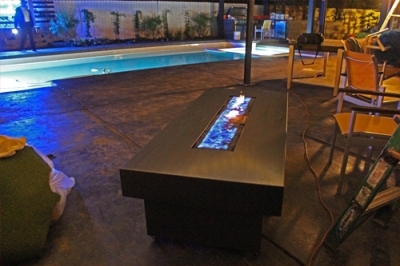 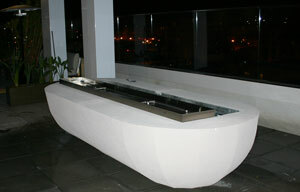 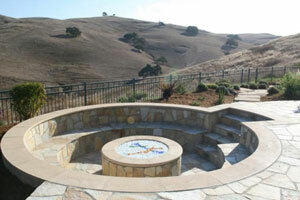 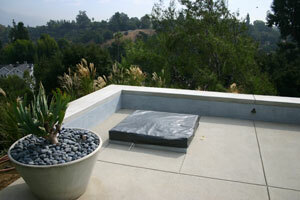 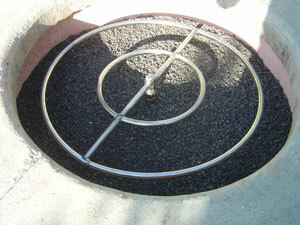 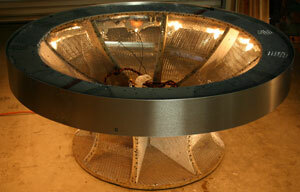 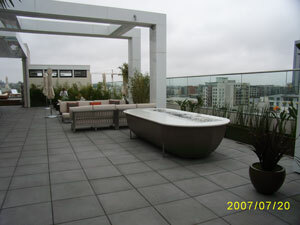 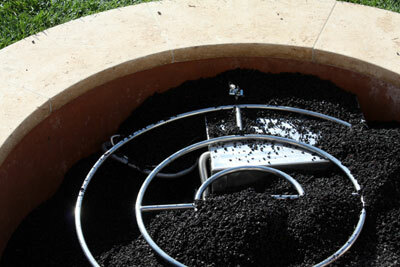 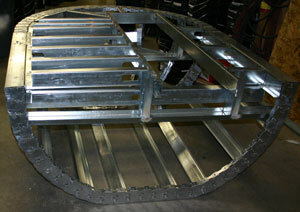 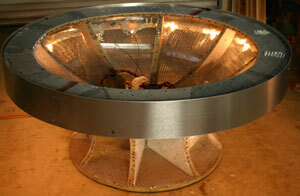 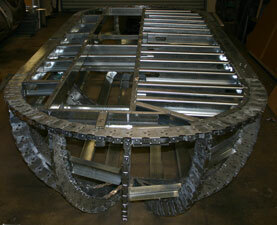 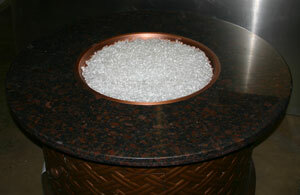 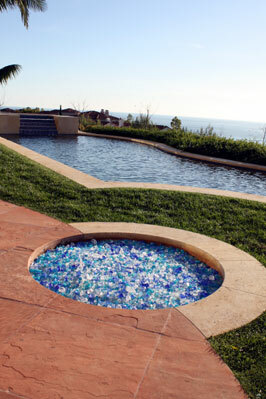 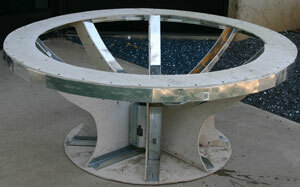 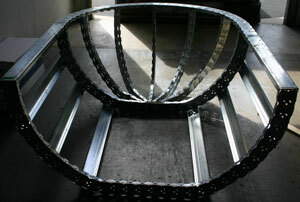 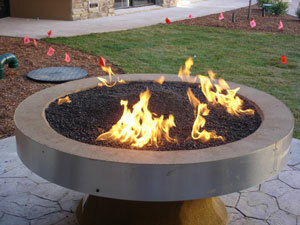 The fire pit below has a half round 4 piece stainless steel ring custom made to fit the shape of the fire pit. 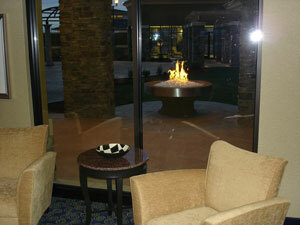 The Fire pit/ Fireplace is in the entry, pretty cool. 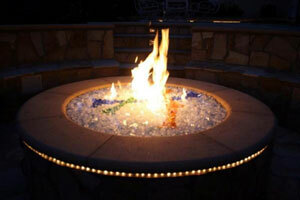 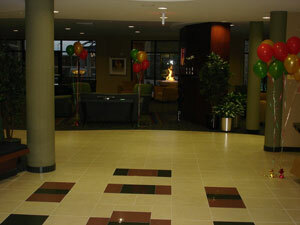 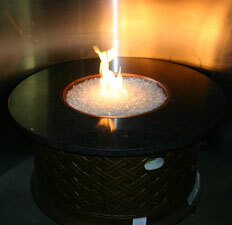 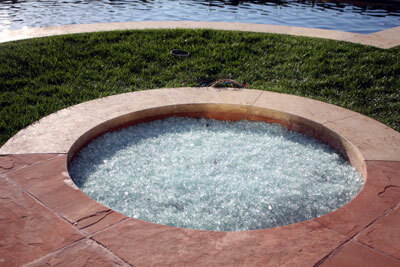 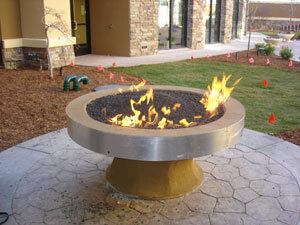 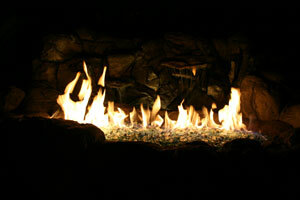 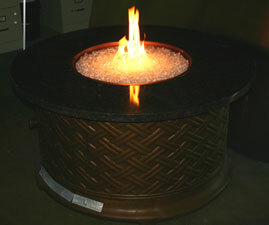 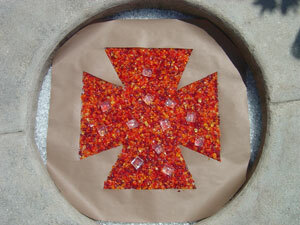 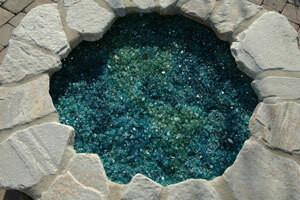 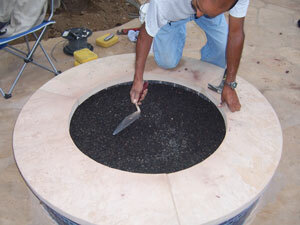 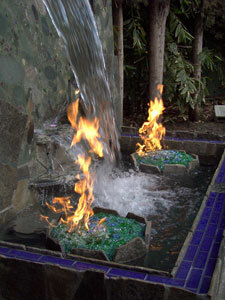 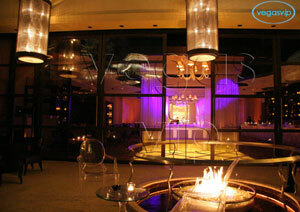 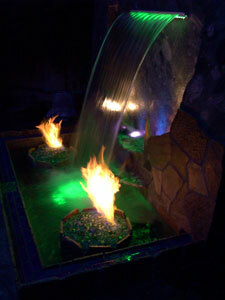 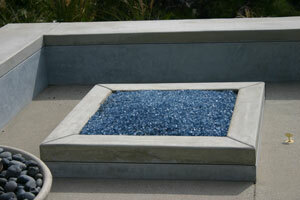 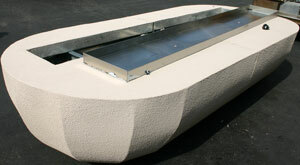 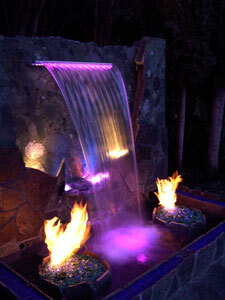 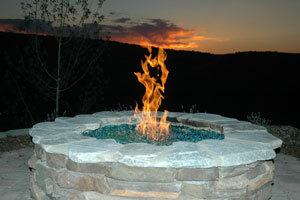 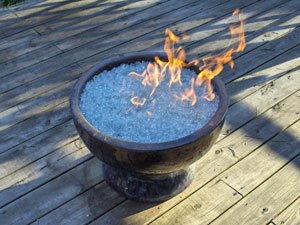 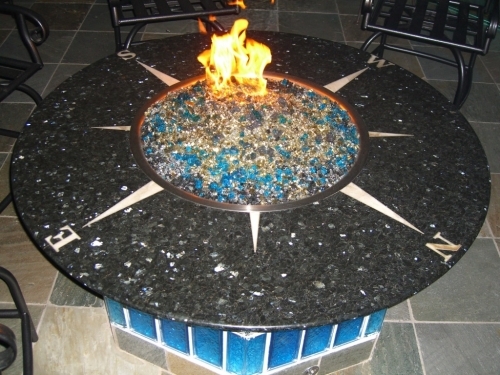 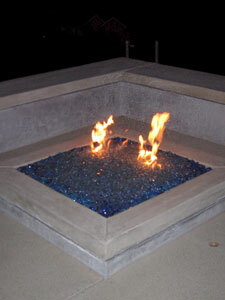 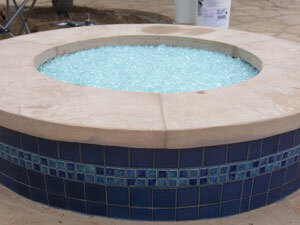 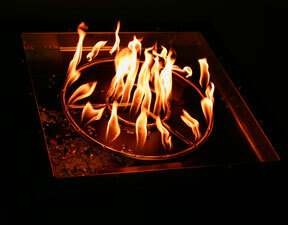 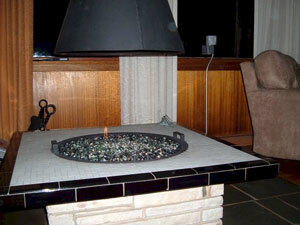 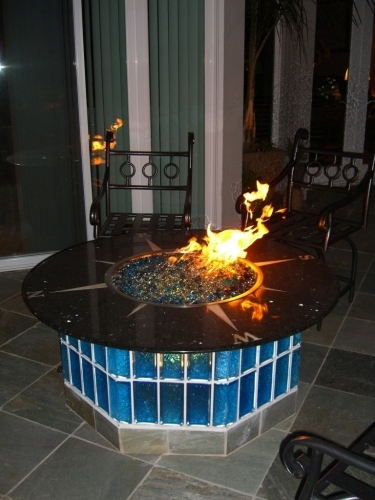 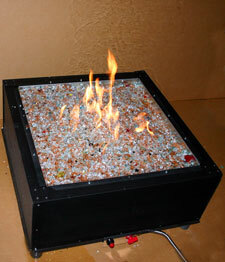 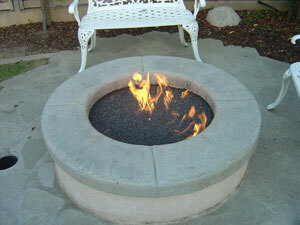 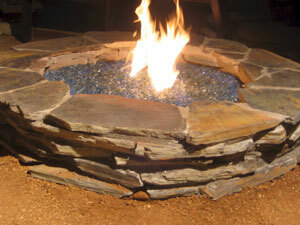 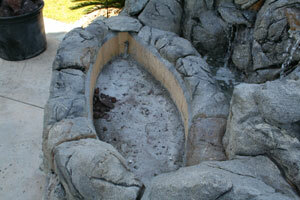 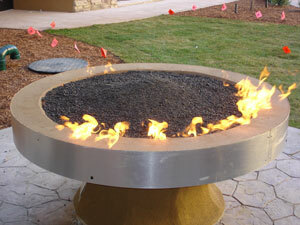 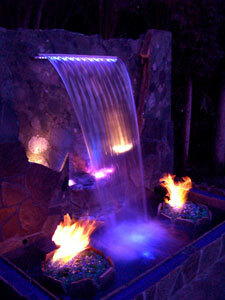 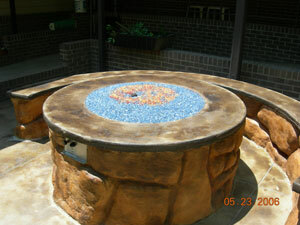 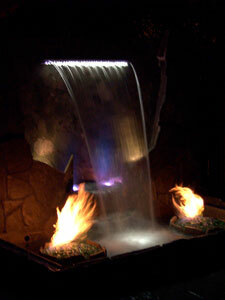 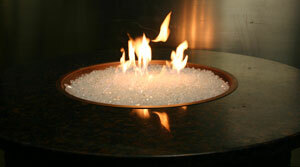 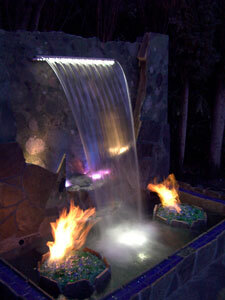 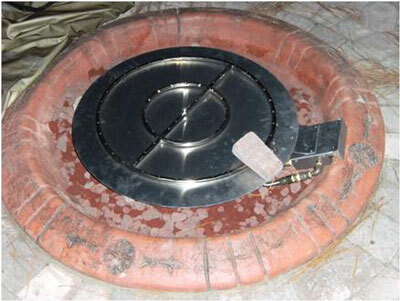 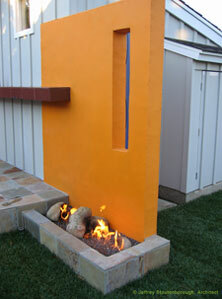 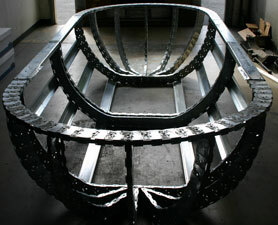 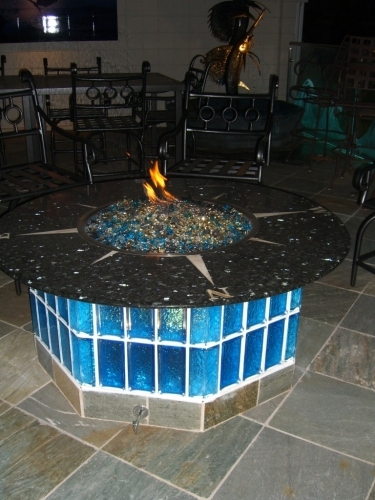 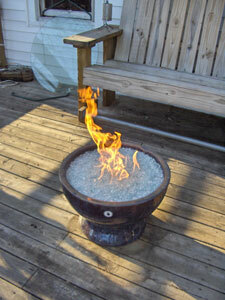 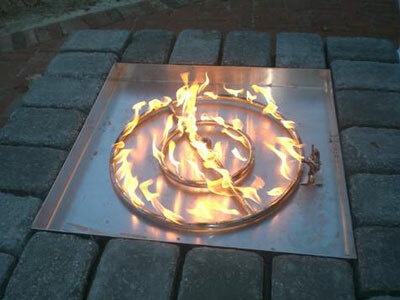 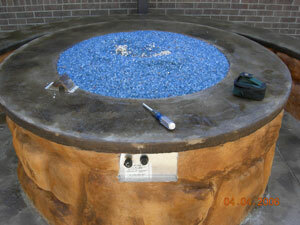 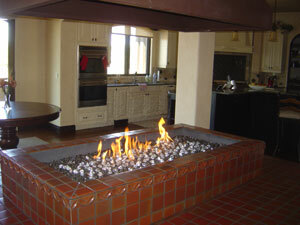 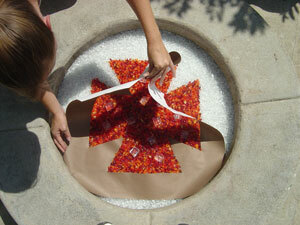 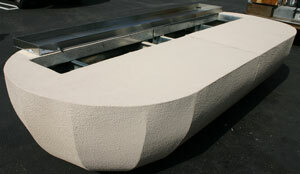 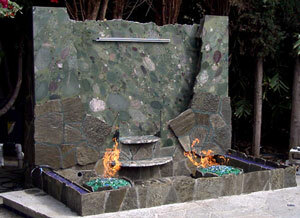 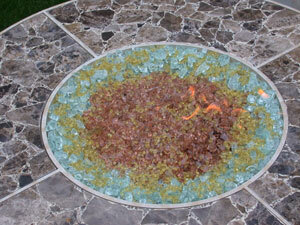 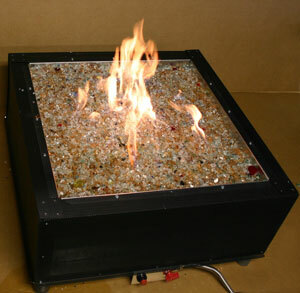 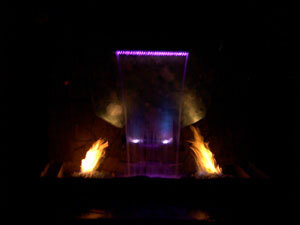 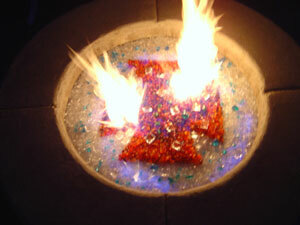 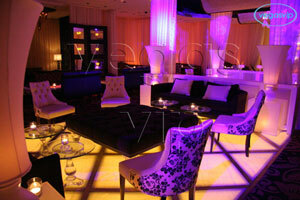 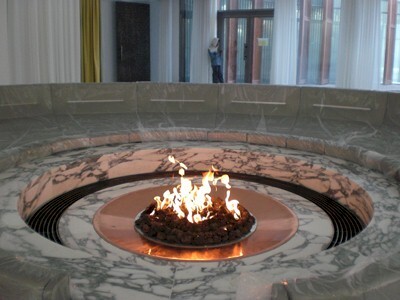 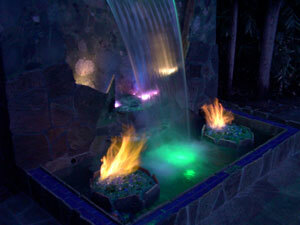 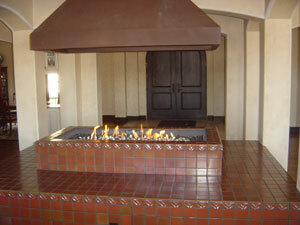 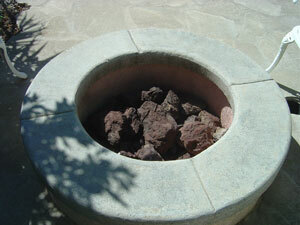 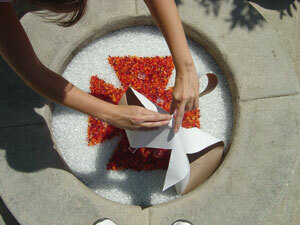 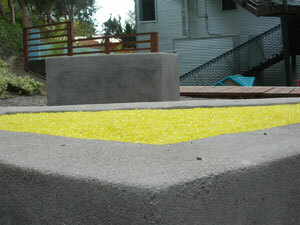 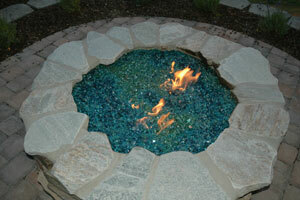 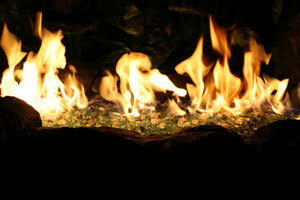 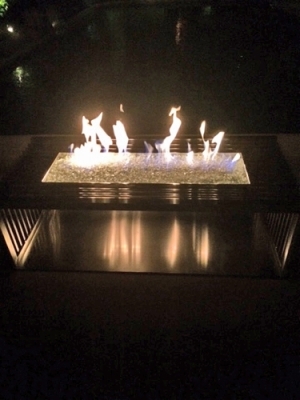 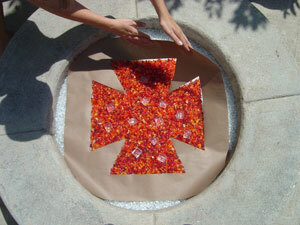 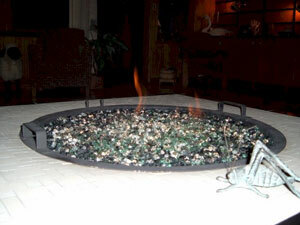 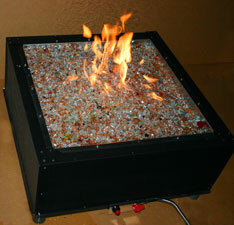 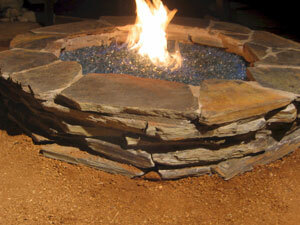 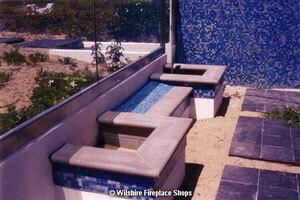 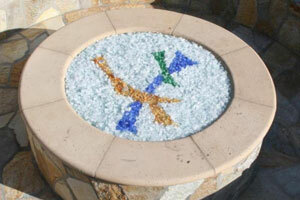 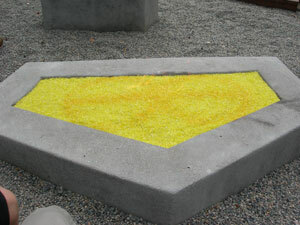 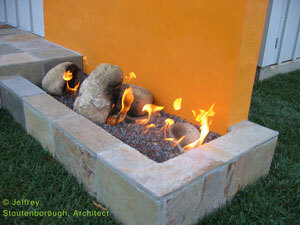 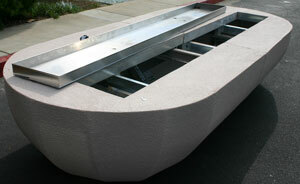 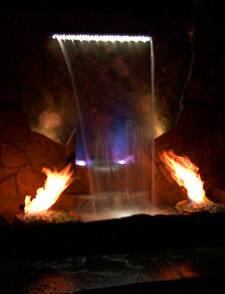 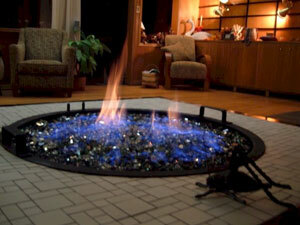 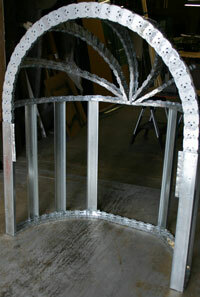 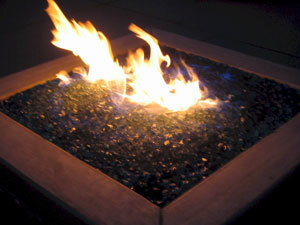 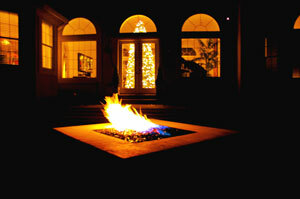 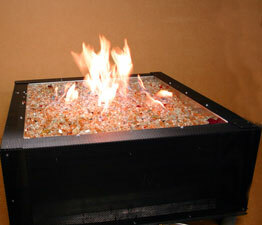 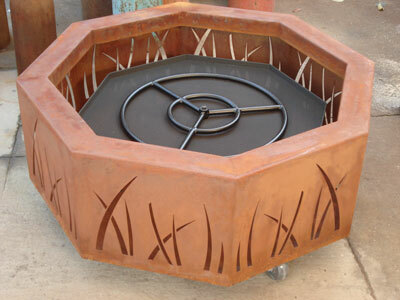 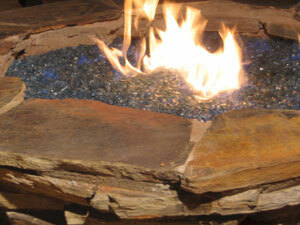 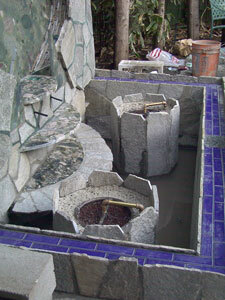 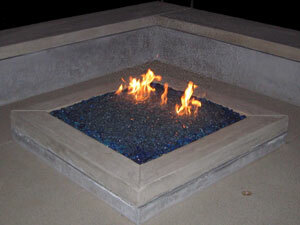 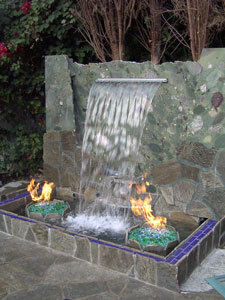 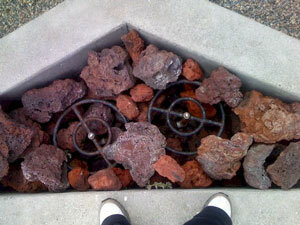 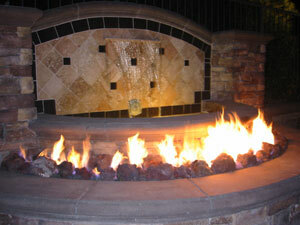 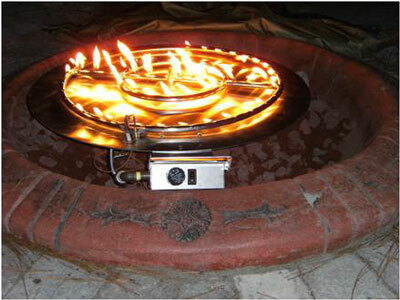 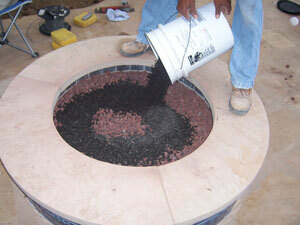 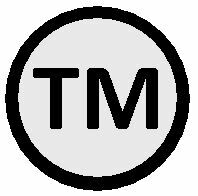 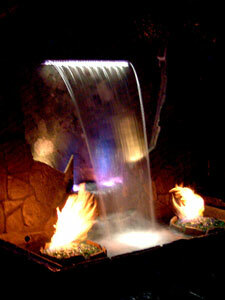 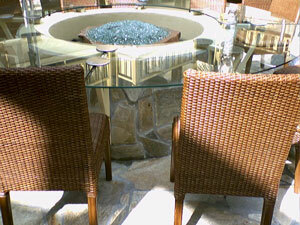 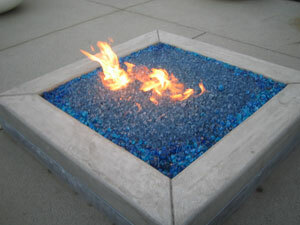 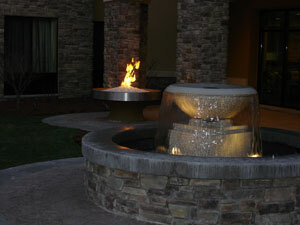 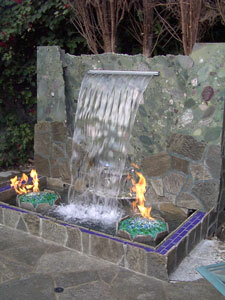 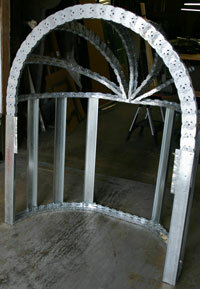 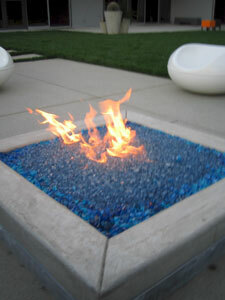 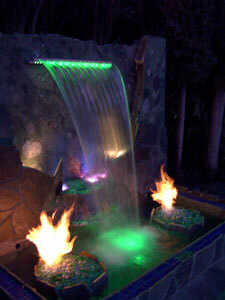 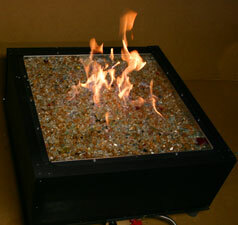 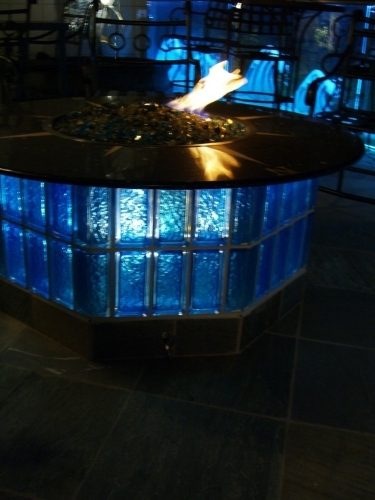 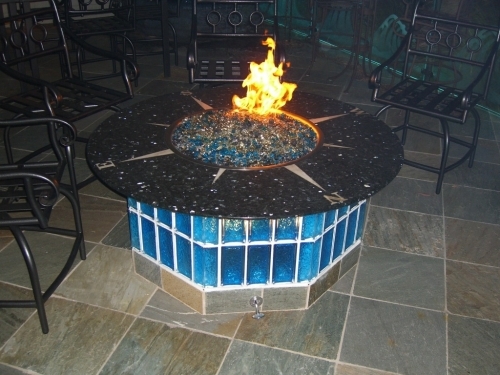 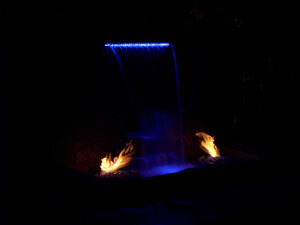 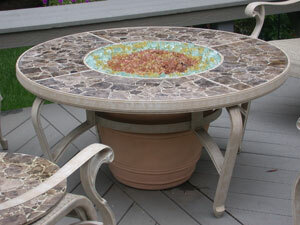 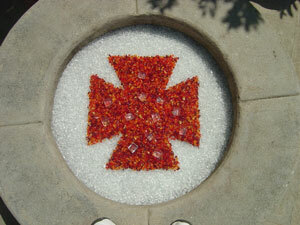 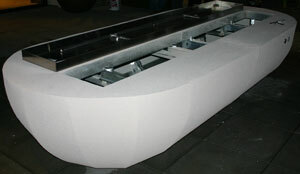 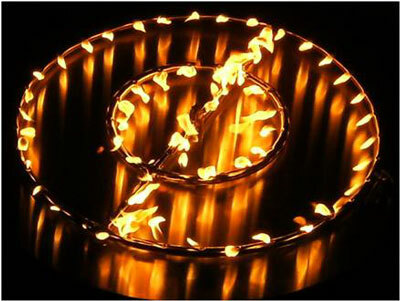 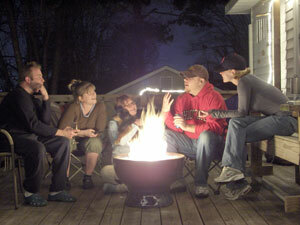 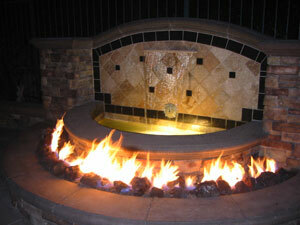 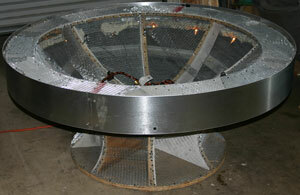 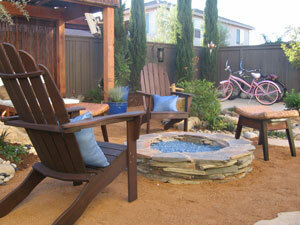 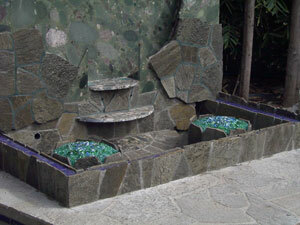 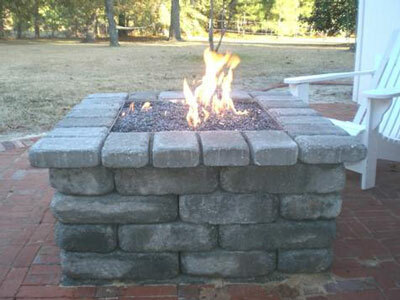 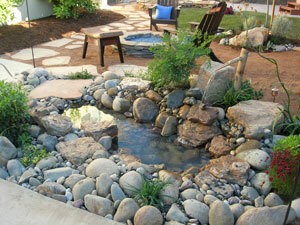 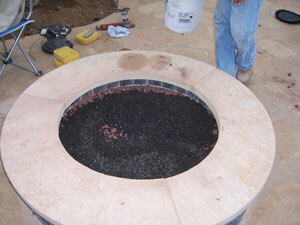 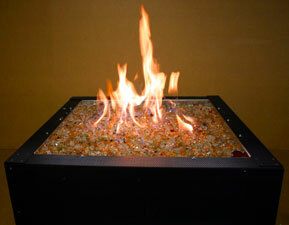 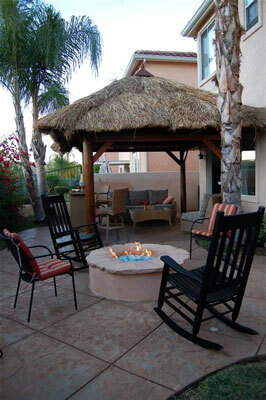 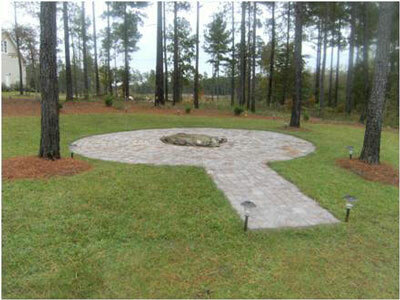 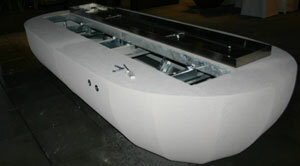 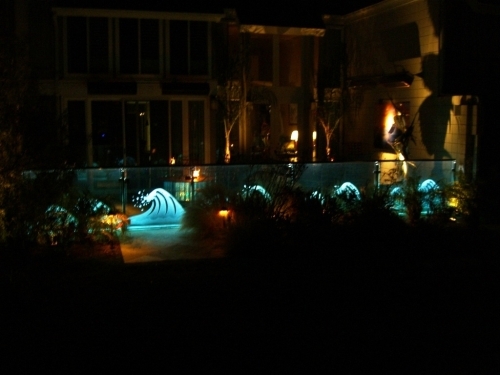 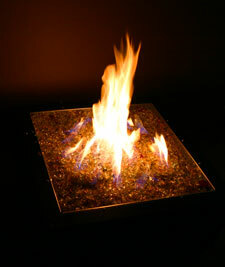 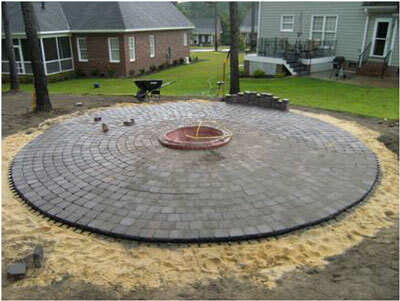 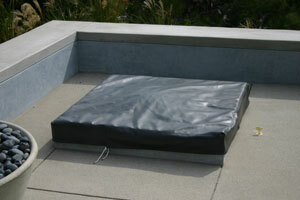 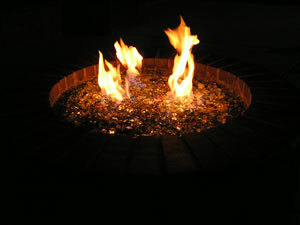 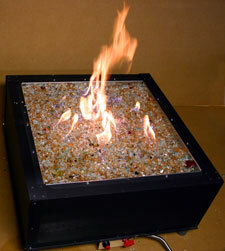 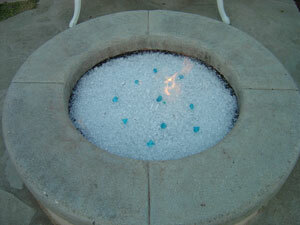 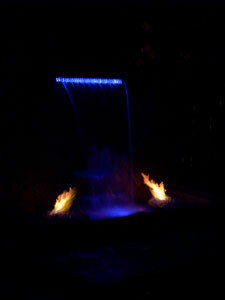 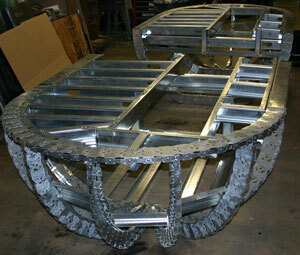 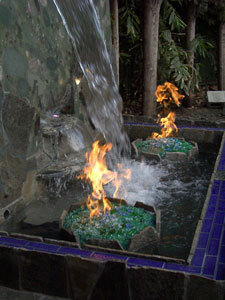 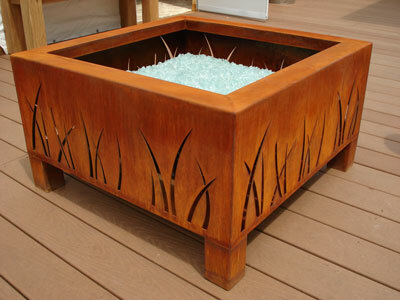 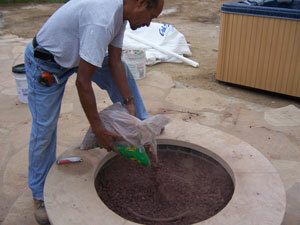 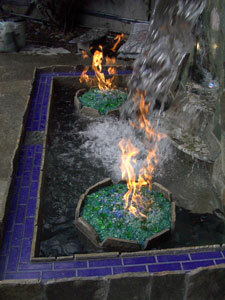 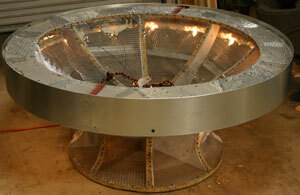 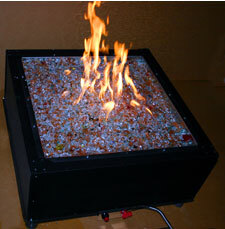 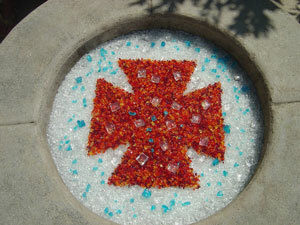 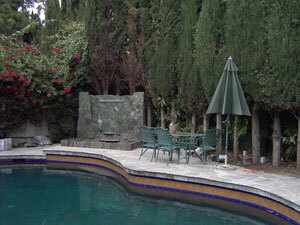 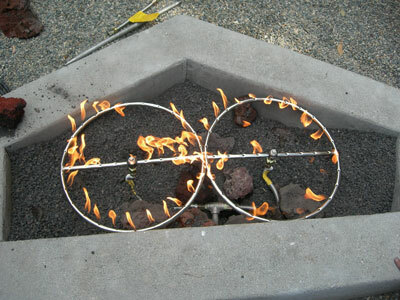 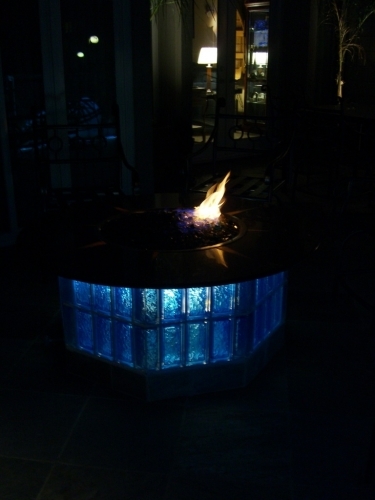 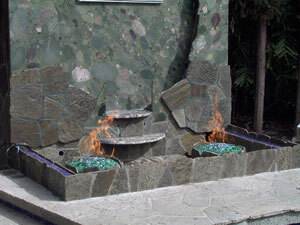 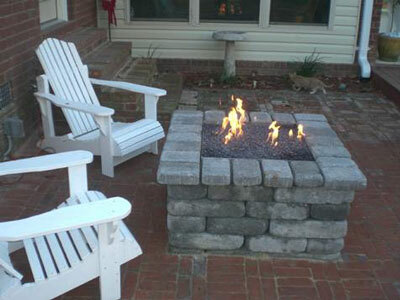 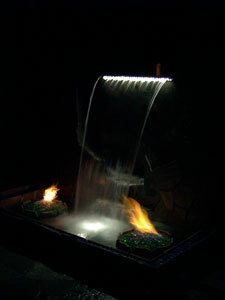 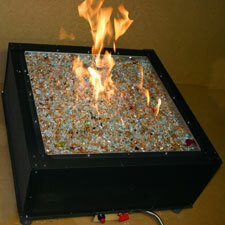 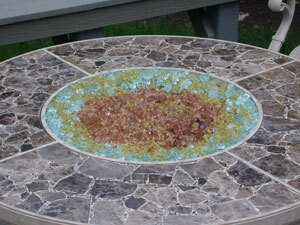 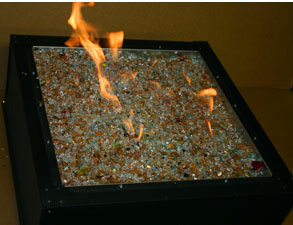 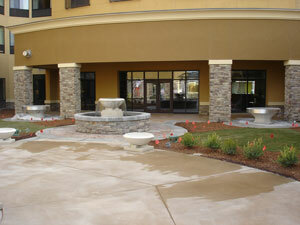 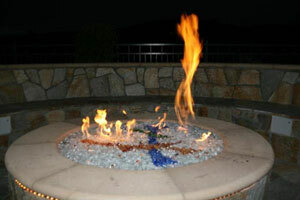 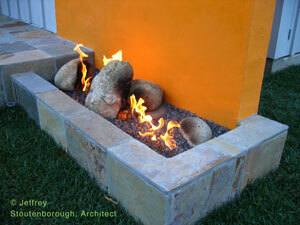 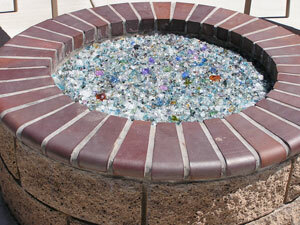 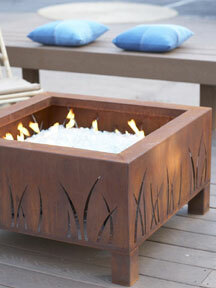 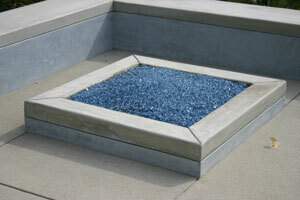 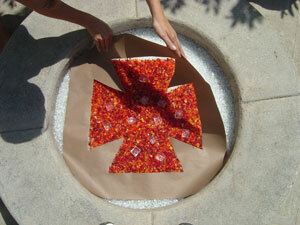 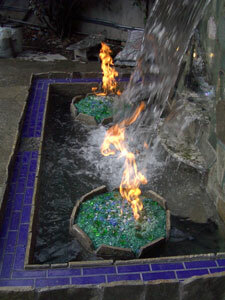 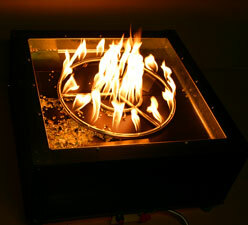 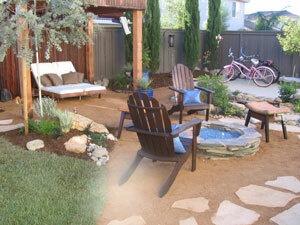 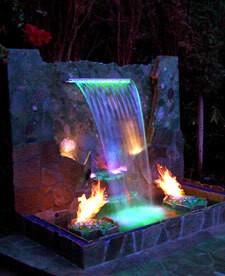 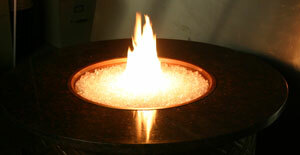 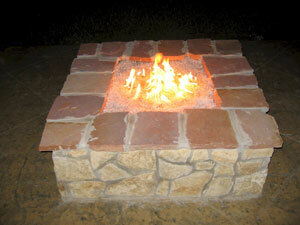 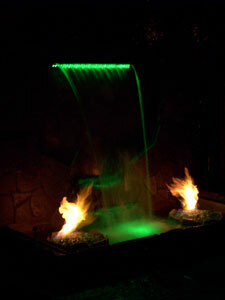 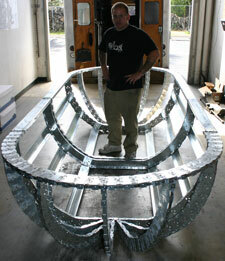 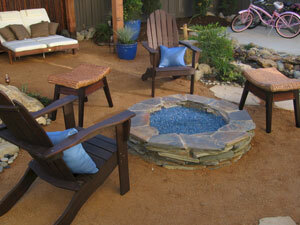 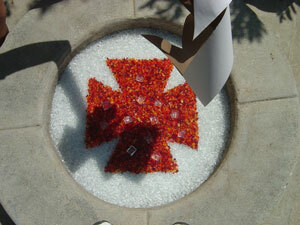 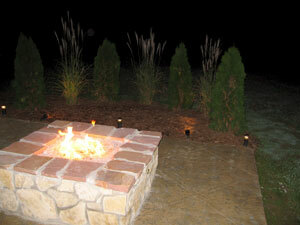 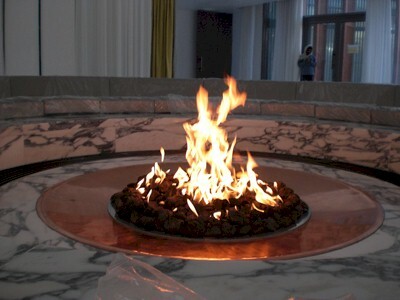 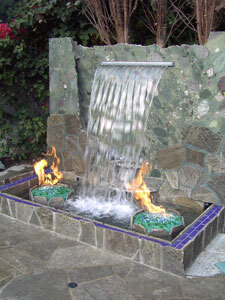 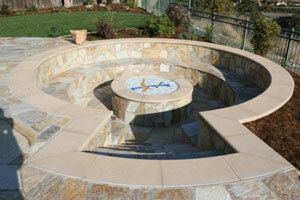 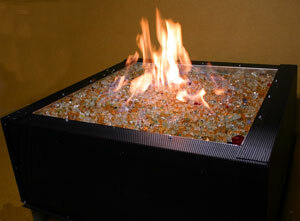 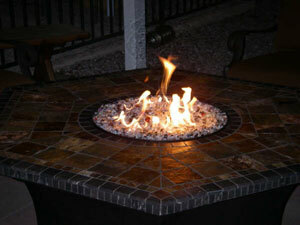 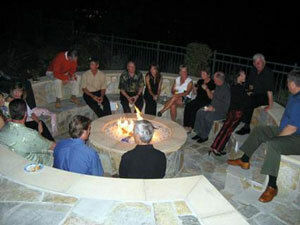 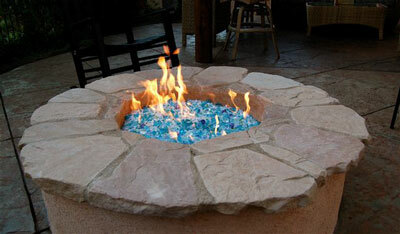 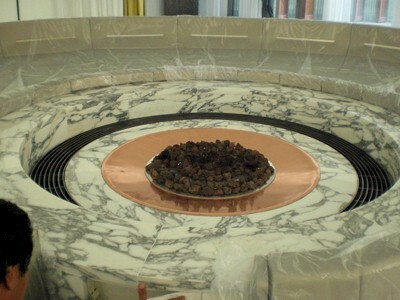 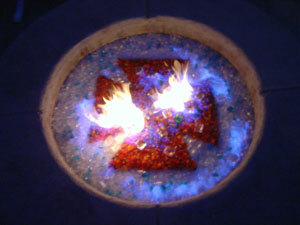 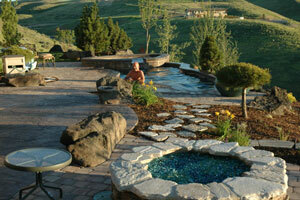 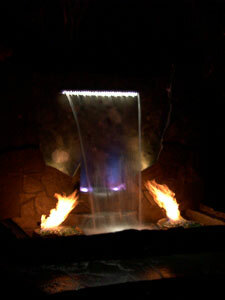 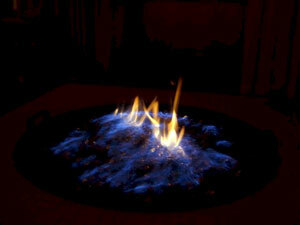 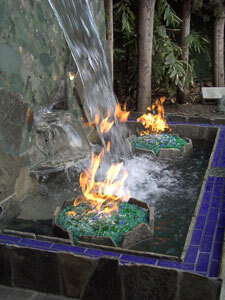 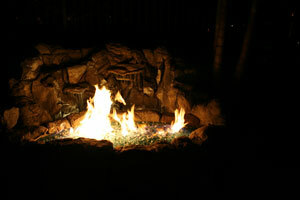 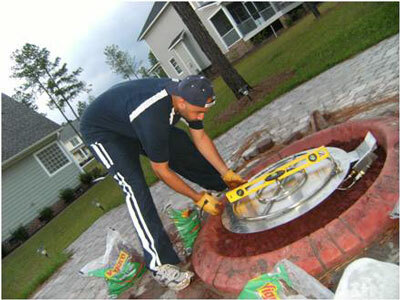 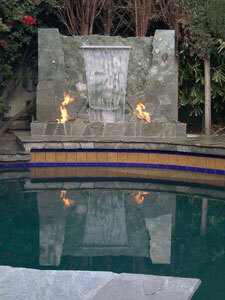 We will be posting different ideas on fire pit covers we can build or design for your fire pit. 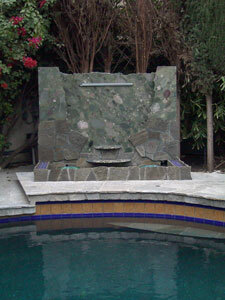 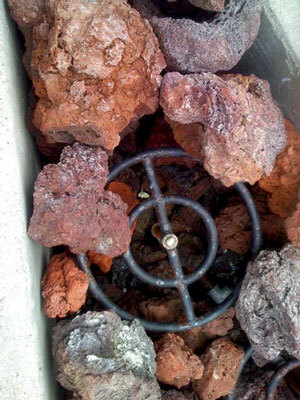 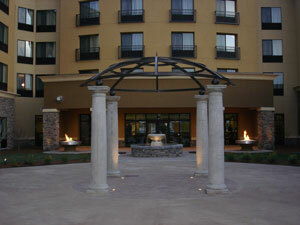 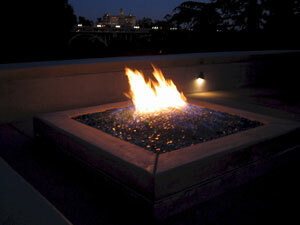 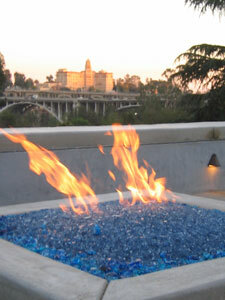 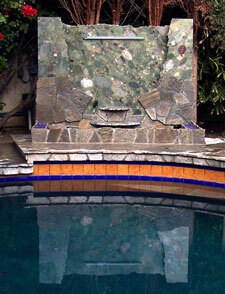 This fire pit is in Pasadena California. 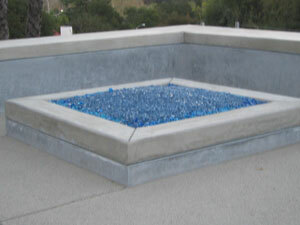 The base is Ford Blue and V Blue topped with both colors in Reflective. 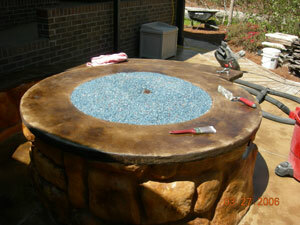 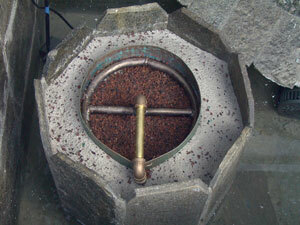 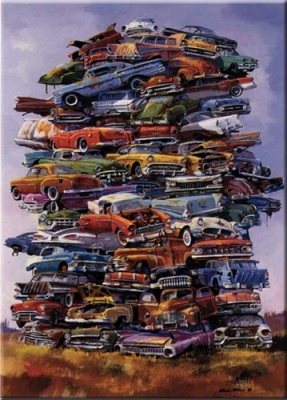 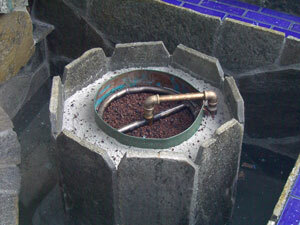 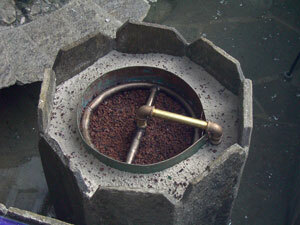 Then weTopped it with Cobalt Blue Topper, Copper Blue Topper and Lagoon Topper. 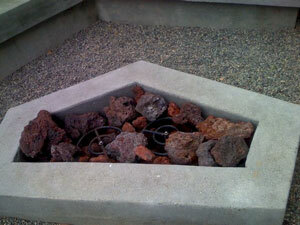 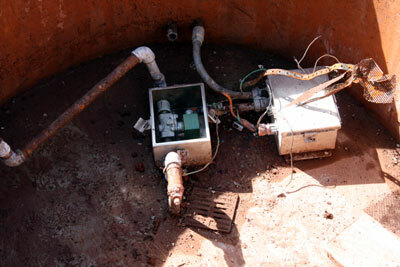 Then we made a simple tie cover to keep the pit looking great all of the time when it is not in use. 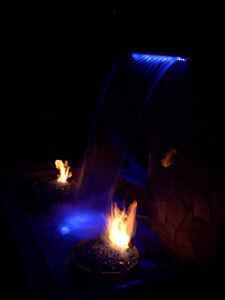 Now for the bid decision, more colors and which ones?